Rounding off our trilogy of hard-electro features, here’s a quick post to let you know that an article I wrote for Side-Line Magazine is now online: Spotify for Electro-Heads! 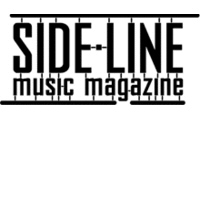 Side-Line is a music magazine devoted to electronic music, in particular electro-goth, synthpop and industrial. It’s my top go-to site for electro news so I was especially honored to be invited to write for them. Thanks Bernard!